So have no fear, friends. As long as you keep a jar of molasses in your fridge and have some white sugar on hand, you’ll never have to make a last minute brown sugar run again! 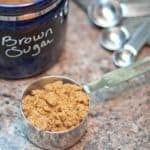 No more last minute trips to the store for sugar because you can make your OWN Homemade Brown Sugar with just two ingredients! Phew, what a week! It’s been an amazing whirlwind of family, friends, and love this past week as my mom and brother were in town for our Baby Shower BBQ! Since I’m not one to play dirty diaper games, our friends hosted a wonderful game-free, casual, BBQ where the guys grilled up some of our favorite ribs from Gartner’s as well as our Cornell Chicken, while the ladies snacked on apps like our go-to Avocado Corn Salsa. My girl Mona and her hubby even surprised us by coming all the way from Arizona! It’s been a wonderful but crazy and exhausting week, to say the least. This preggo is beat. So I bring you one of the fastest, easiest, oh-my-god-how-did-I-not-know-about-this-sooner?! recipes to date. Homemade Brown Sugar. I know what you’re thinking, because I thought the same thing when I realized you could make your own Homemade Brown Sugar! 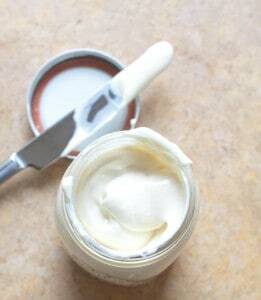 It’s only 2 ingredients – and 2 ingredients we always have in the house! All the times I’ve run to the store because I ran out or forgot brown sugar… What a waste of time that’ll never happen again! 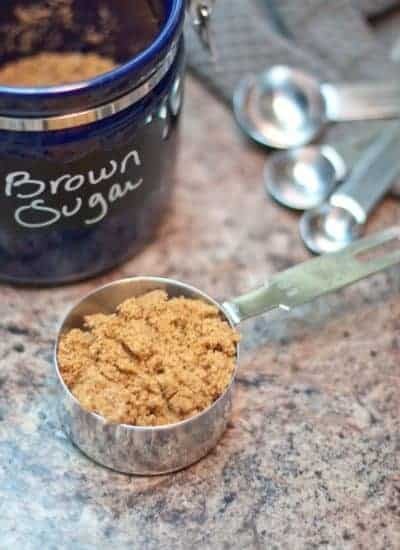 2 ingredients and 2 minutes and you have your own Homemade Brown Sugar. It’ll take you longer to wash the food processor you used than it took you to make this. 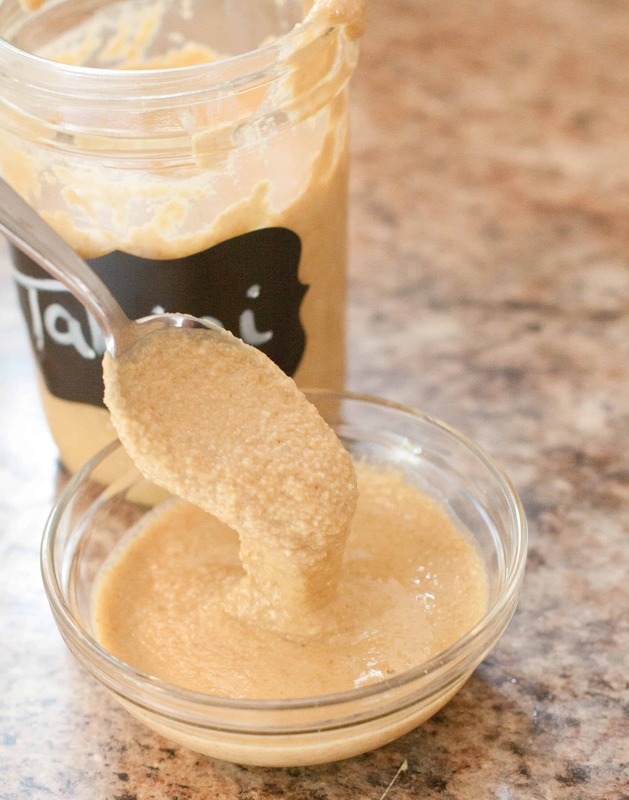 2 ingredients and 2 minutes and you'll have your own brown sugar! 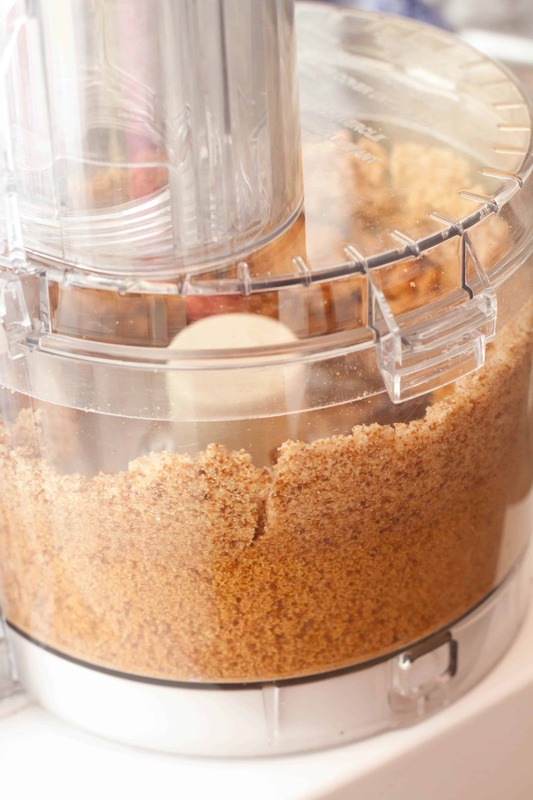 Add sugar and molasses to food processor. Blend until molasses are all incorporated. Congrats on your pregnancy! 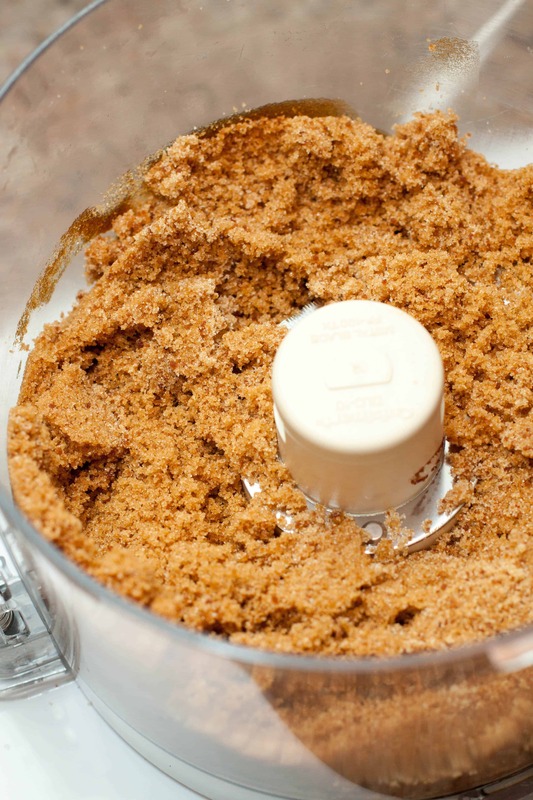 This brown sugar looks perfect–no clumps! It’s such a neat trick, isn’t it? I discovered it last year when I was out of brown sugar. Now I never worry about it. That’s TOTALLY how I felt, Lisa!! I’ve never made my own but looks fun! Plus if you use s high quality molasses a bet it’s even better! Thanks! I’ve heard of this before, but had never seen it. As you suggest, I do have molasses in the pantry. I wind up buying it for some reason, and then the remainder of the jar sits there for … probably years. This would be a great way to use it up. Thanks, Jeff! Yes – it seems like most of us have molasses that we bought for something else but then haven’t used it since! This is definitely a keeper! I have a thing with brown sugar. I either have 4 bags or 0! 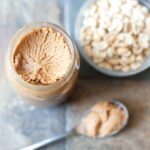 Maybe this tip will keep my brown sugar obsession under control! Hahaha I did the SAME thing, Julie! I’d remember I needed it for something and then I’d buy way too much just to be sure! Then of course when I really need it, I wouldn’t have any on hand. Ha! This is such a total and complete life changer because I NEVER finish a bag of brown sugar before it gets all rock hard. And I would never in a million years have thought I could make my own. Fabulous! I love this! I literally just ran out of brown sugar last week and had to delay making a recipe, I wish I would have known about this then! I am kicking myself! I knew you could make brown sugar at home but I didn’t realise it was soooo easy! I have to try this very soon. Thanks so much for sharinf! This is genius!! There have been times I’ve run out of brown sugar for a recipe, and I need to keep this in mind for next time 🙂 I know my husband will be happy he won’t have to run to the shop to get one for me in the middle of it all! So happy that you had a great Baby Shower 😀 I can’t even imagine how excited everyone must be now! 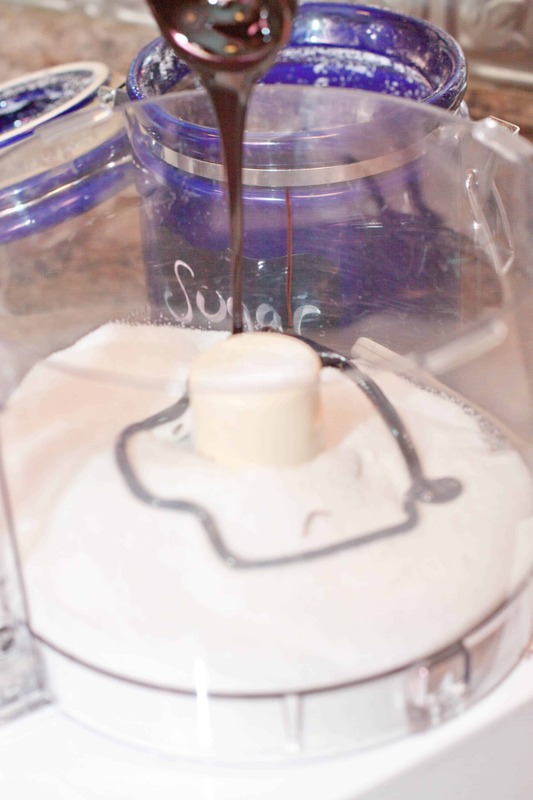 Have you ever tried coconut sugar instead of white sugar? Ooooh no but that’s a great idea!! I will have to try it and if you do, please let me know how it works! WOW…. I love the thought of making this at home. What a fun project to try on the weekend. I sure need lots of this for the holiday baking recipes. LOVE THIS!! Yes! 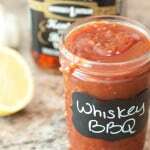 So easy to make and would be fun to impress holiday guests, too! WOW!! I’m rarely stunned speechless when it comes to kitchen stuff…but who knew? I always though brown sugar was an actual ingredient rather than made FROM ingredients. It would have never occurred to me that there is a recipe for it. Learn something new every day….thank you. I felt the SAME way, Debra!! WHOA! 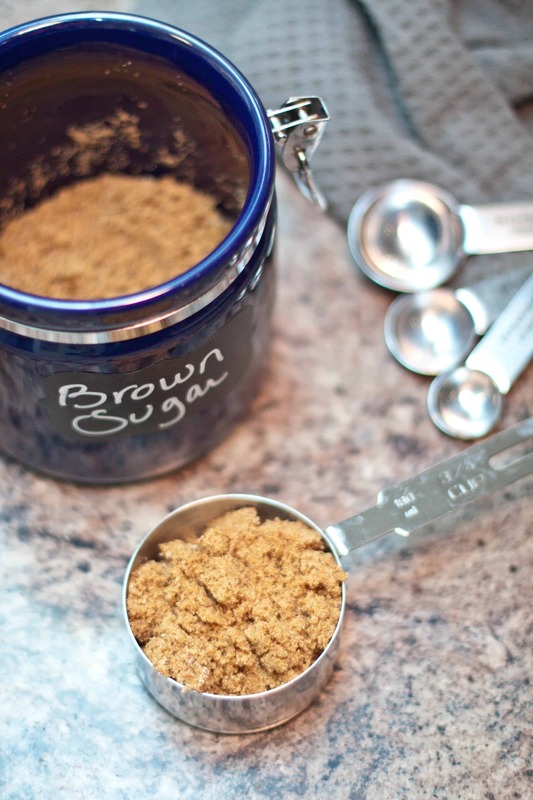 How did I not know it was this easy to make brown sugar? This seems way easier than unclumping that rock of brown sugar I never use in my cupboard. LOL! Congrats on your pregnancy and your baby shower! As someone who always have no brown sugar on hand when I need some, this is perfect! I’ve run out to the store before while baking in a panic more than once. I just need to make sure I don’t run out of molasses now haha. I have no idea how I’ve gone this long without knowing this trick! What a lifesaver! I guess in my head, I’d always figured it was a different type of sugar (although now that I think of it, this makes total sense!) Quick question though, is this closer to light or dark brown sugar? Congratulations! This is such a cool trick! Who knew it was so easy to make brown sugar at home? Now I never have to rush to the grocery store at the last minute after discovering that I’m out. Yes- it makes life so much easier! This is such amazing information! I have run out of brown sugar before and would have loved to had this recipe to make my own instead of going to the store. Thanks for sharing this, so great! I knew there was a way to do it but I never thought to make it. What a great idea. Yes!! Sometimes I run out of brown sugar and it would be great to just whip some up. 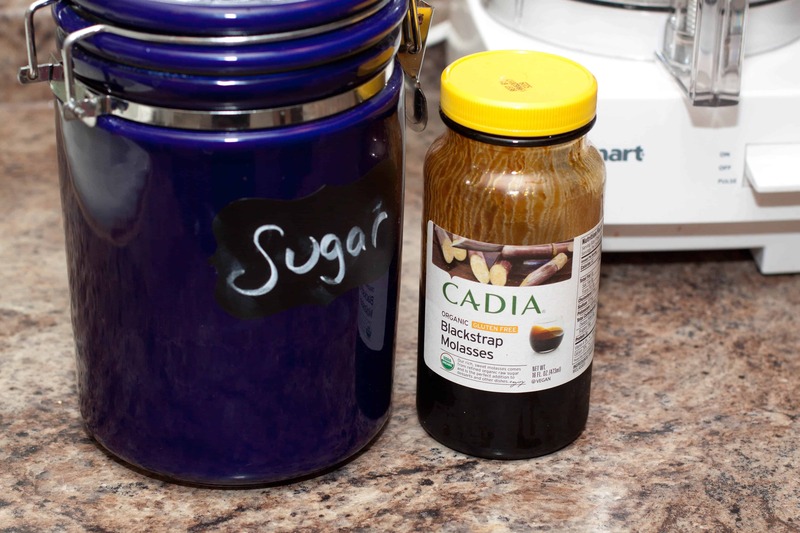 We always have molasses in the house — I’ll be making some brown sugar this week. I’m so glad I found this as I head into my annual Christmas cookie baking marathon! I almost always run out of brown sugar, and it’s such a pain to have to dust the flour off of myself and run to the store in the middle of baking. 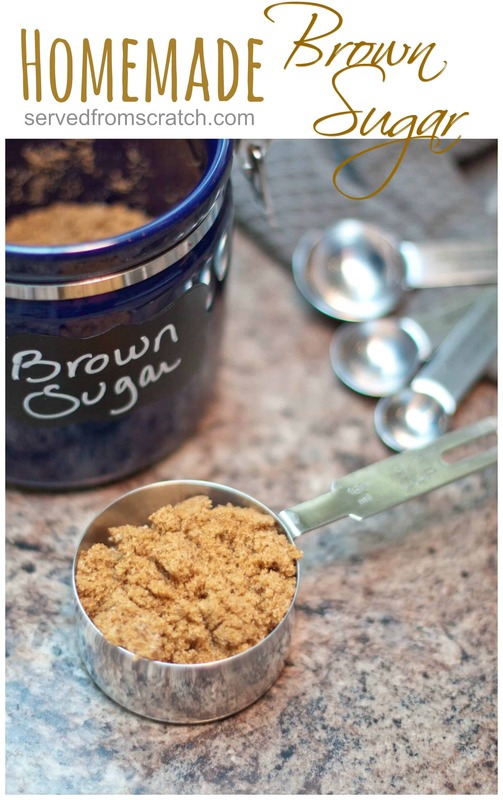 I never realized how easy it is to make brown sugar at home! I love that it’s always fresh this way too. The store bought kind dries out so easily.